Succeeding at SEO takes commitment and investment. You will need to invest both money and time and remain committed to the cause even when the results do not match the effort you’re putting in. If you’ve tried optimising a website or blog for SEO, then you know what I’m talking about. 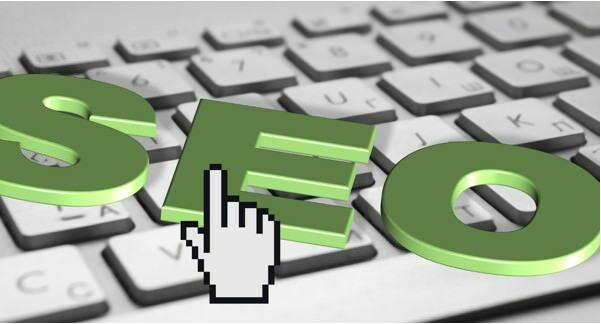 SEO can be compared to building trust… actually, it is building trust – between you and the search engine, in this case, Google: It takes time to develop and build,but everything can come crumbling down in a fraction of the time it took to build. It just takes a few mistakes. Prioritising backlink quantity over quality.Backlinks are important for improving your SEO rankings but only if they come from quality sites. Having hundreds of backlinks from sites with a poor reputation will actually harm your ranking instead of helping it. Google takes this as a black hat SEO practice and will penalise you for it. So instead of buying links that are unnatural, manipulative or deceptive, build them organically for sustainable SEO. Making your site slower.A website can run slower due to a host of reasons ranging from poor hosting services to issues with certain elements of your website. Whatever the reason for the slowdown, the result will be that the user experience will be greatly hampered. Because Google aims to direct its users to sites that offer a good user experience, your site – regardless of how good the content is – will be overlooked in favour of other sites with acceptable content but quick loading speeds. Posting thin, crappy content.They say content is king, but not all content is made equal. The content you put up on your website not only needs to be relevant but also needs to be “meaty” enough to provide value to the user. Google handles thin and poorly written content the same way it handles overt sperm techniques; by dishing out penalties. Content that’s auto-generated including automatic translations, scraped content, and content that has been put together from various sites without any significant value addition will also fall under this category and will cause your site to drop in rankings. Placing too many ads. Having a website that is “Top Heavy”, i.e. containing so many advertisements as to make it difficult for users to navigate,will see your SEO rankings drop rapidly. An overabundance of ads that come before content frustrate the user experience – something that we’ve already established is very important to the search engine. Also in this category of obstructive ads is intrusive interstitials that cover a significant portion of the website. Cloaking. (Probably the fanciest word used in this post, I reckon.) Cloaking is some type of sophisticated hiding that shows two different versions of your website to the search engine and the users. Google sees this as a deliberate attempt to manipulate its search results and, therefore, dishes out a heavy penalty to those found implementing this practice. All these things will cause you to lose your SEO ranks in a fraction of the time it took you to build them. Avoid doing them to maintain your rankings and work to improve your SEO position using methods that are Google approved.